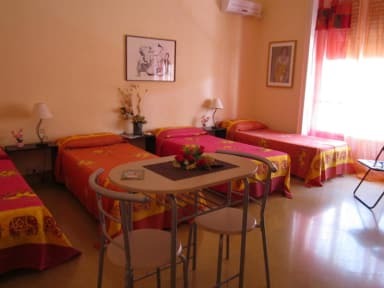 Da Mary Guesthouse is in Palermo city center, located on the third floor of a building with lift, overlooks a beautiful and prestigious pedestrian street full of shops. Da Mary Guesthouse offers accommodation in five spacious rooms furnished in a simple and graceful style, defined by some small and spartan by others beautiful and elegant with DGT TV, air conditioning and fan, towels and linens, three rooms have a balcony and two have large windows. There are two bathrooms, one has a bathtub and the other a shower, a hairdryer and soap are provided. 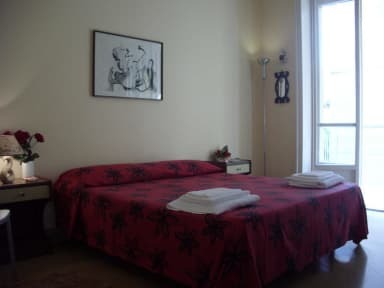 Da Mary Guesthouse is located between Via Libertà and the Teatro Massimo, near the historic center and buildings, the most beautiful squares and the rich outdoor markets. The area is surrounded by restaurants and trattorias typical Sicilian, bars providing hot food, ice cream parlors and bakeries, newsstands, night clubs such as pubs, clubs, arcades, cinemas, gardens, villas, churches and museums, and marvelous architectural structures that enhance every street.